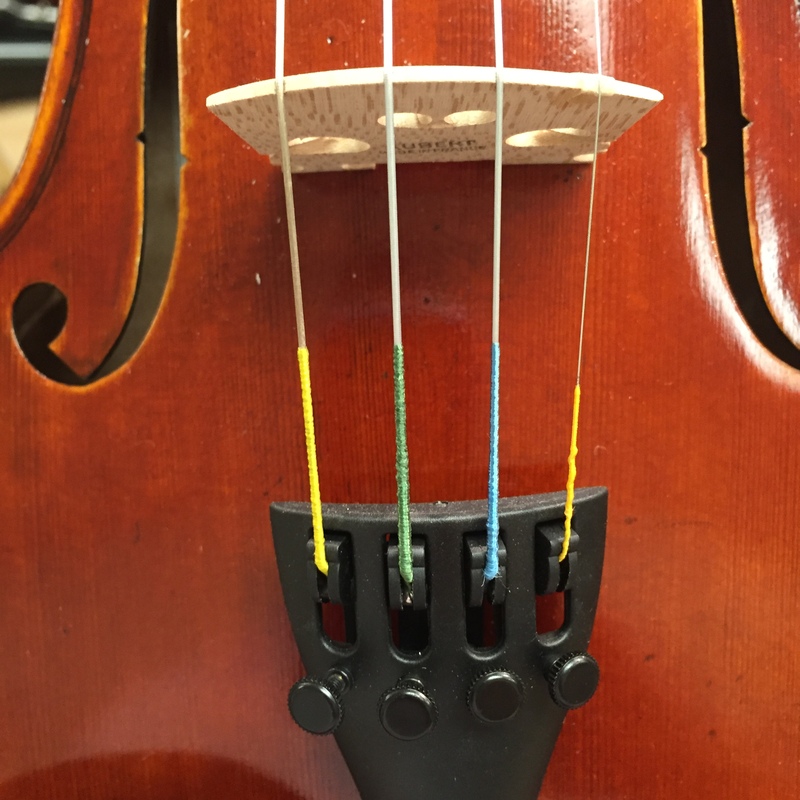 Have you ever picked up an instrument and wondered what strings were on it? We have so many wonderful options from so many manufacturers that it can be difficult to know what’s what. 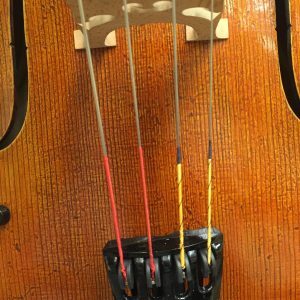 Thomastik, Pirastro, D’Addario, Larsen, Jargar, etc – each manufacturer does things a little differently. Sometimes, even more confusingly, they do them very similarly! 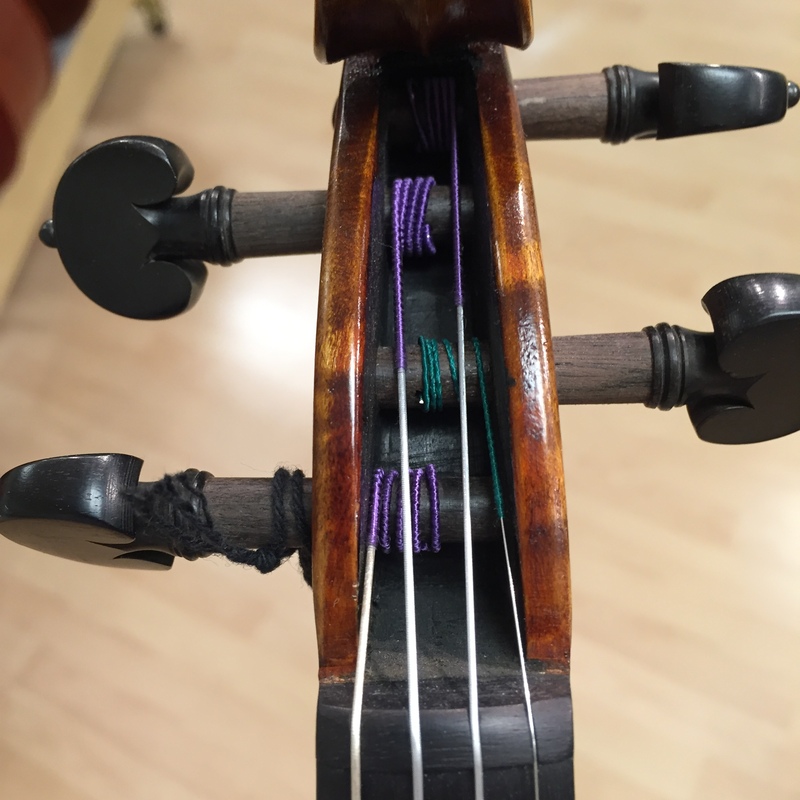 One thing we hear from students is that their teacher told them to get “the purple strings”. While we often look at the silking color by the tailpiece, in this case “the purple strings” are purple at the peg end – the nearly ubiquitous Thomastik Dominant strings. Cellists can spot the gold and navy colors of Larsen strings from across the room while professional violinists know the green and black of Pirastro Evah Pirazzi strings. 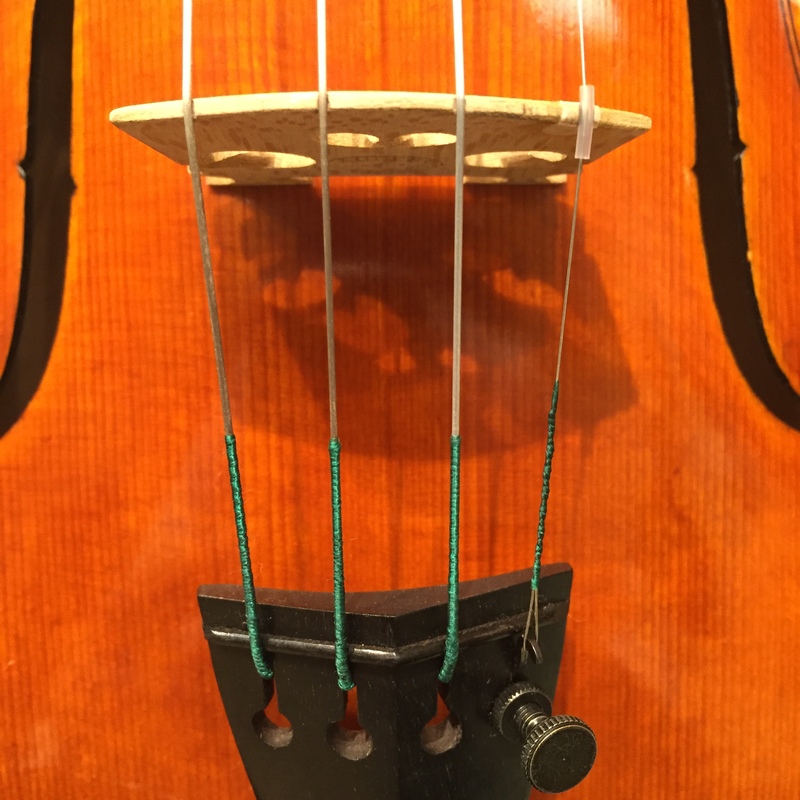 The new Thomastik Versum cello strings have a beautiful shade of solid green for the tailpiece end silking. What are some of your favorites? 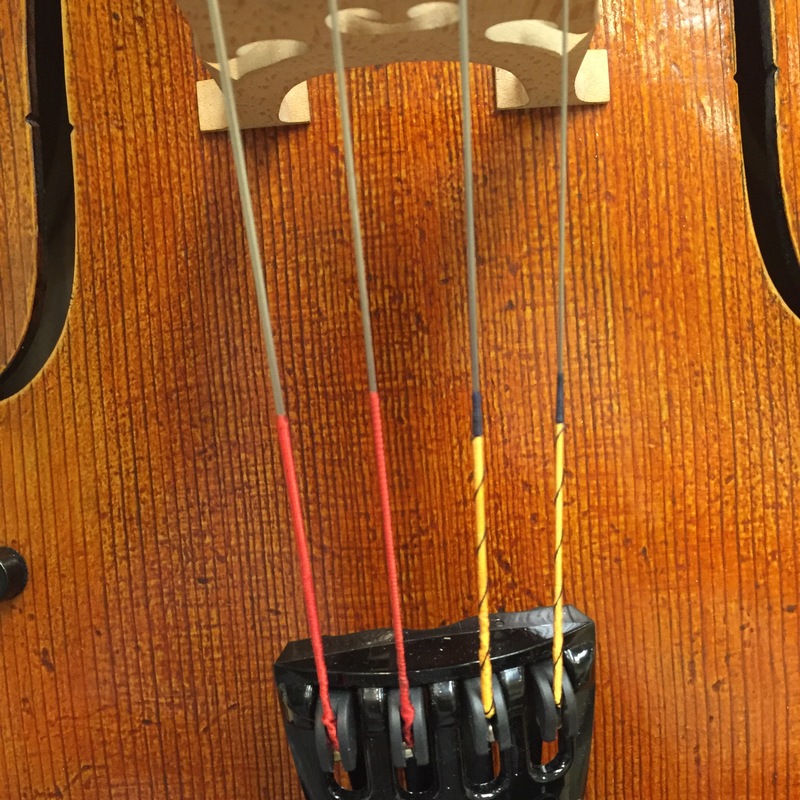 I have 2 violin strings with black tailpiece ends and red peg box ends. 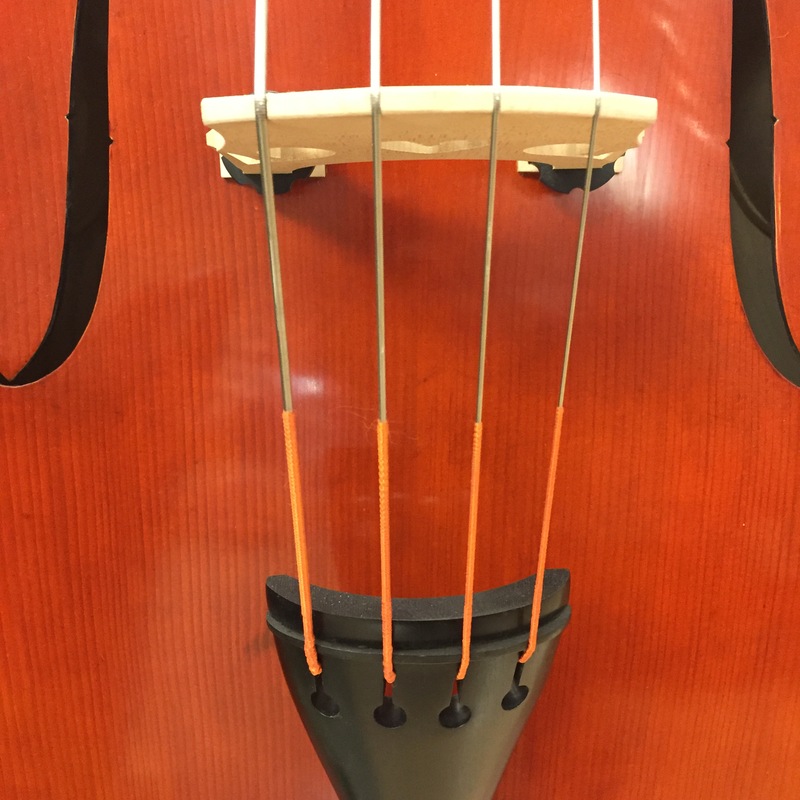 The tailpiece end has a loop which looks like gut but too stiff and white for gut, I think. 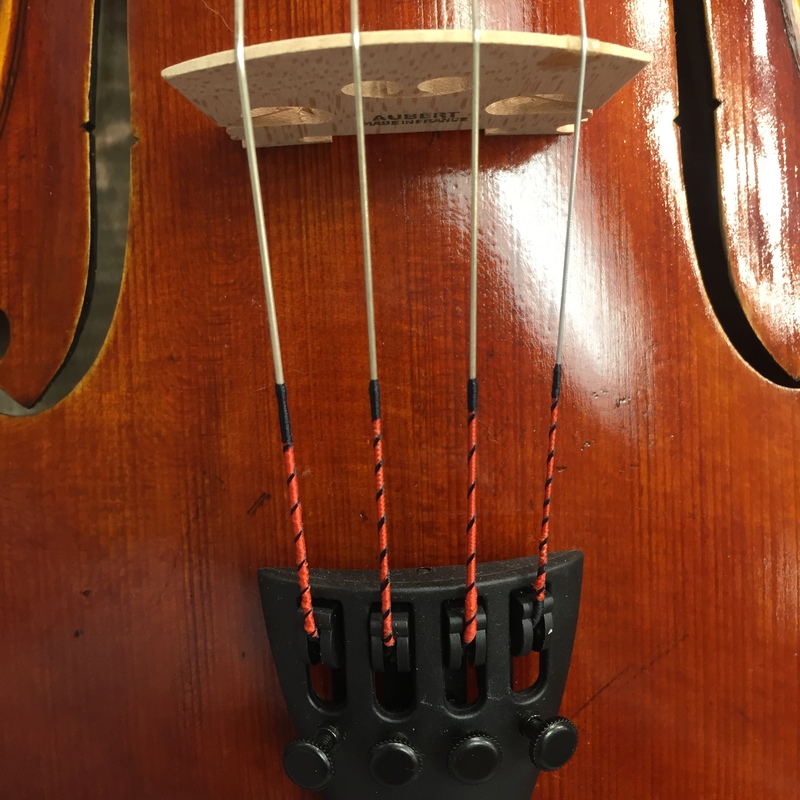 Could you guess what brand these would be? I can’t find anything like them in the many charts I’ve just surveyed. Greetings! 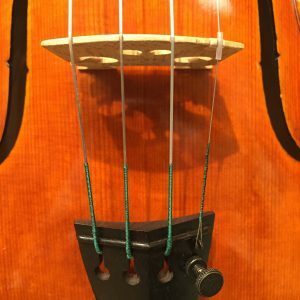 Have these strings been on the instrument for a while? What you are describing sounds like an older gut string. If you’re looking for a replacement, you could try some of the more gut-like synthetic-core strings available on the market. 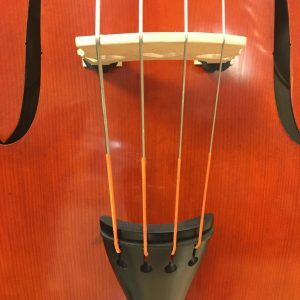 Feel free to email me at jrihani@encoreorchestral.com if you have additional questions.